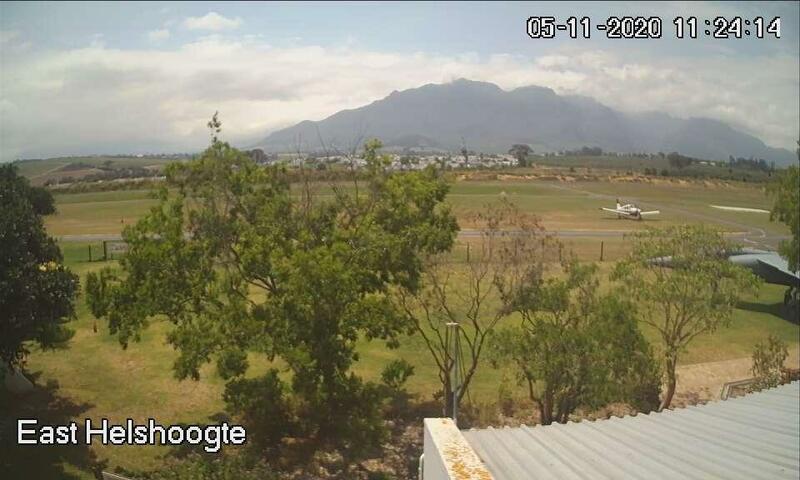 Both webcams are located at the Stellenbosch Flying Club - the exact location is not know yet. One webcam views north towards Bottelary Hills, the other one south to the Helderberg Mountains. The cameras don't show known landmarks, but they are helpfull to get an good idea how the weather looks like in Stellenbosch. We just discovered these cameras so that we can only say more in a few days.